Marketers often get confused between the terms “Omnichannel Marketing” and “Multichannel Marketing”. Let’s understand what how these two terms differ from each other along with proper examples. 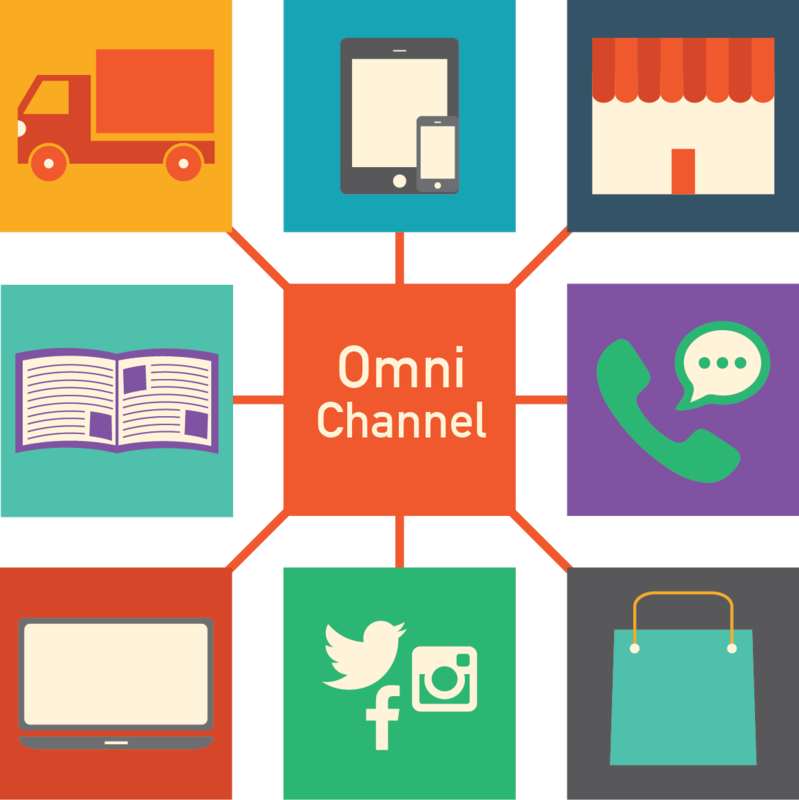 “Omni” means “in all places” and “Omnichannel Marketing” refers to the practice where the brand creates a seamless experience to the consumer no matter on which channel he/she prefers to purchase. What The Brand Needs to Answer For Effective Omnichannel Marketing? What are the various touchpoints of the customer like website, mobile app, social media, brick and mortar store etc.? What are the key tasks or actions that the customers perform throughout their shopping journey like saving the items in the cart, saving the items in the wishlist etc.? What are the emotional and rational aspects of the purchase that go through every customer’s mind? Do you have a central location for storing all of your customer data? Are your marketing channels integrated with each other? Do you offer automated customer interactions like those happening with the help of a chatbot? Once you have answered each of these questions, you already have the data for creating an effective seamless experience to the customer. The real essence of Omnichannel marketing is that the customer should be able to begin their purchase journey from where they left no matter whatever channel they use. Let’s take an example to make this concept clearer. Suppose a customer browses your e-store from a laptop and saves some items in the cart for future purchase. Thereafter, the customer visits your brick and mortar store to see and feel the items physically. Here, the sales persons attending the customer are already aware about the items that the customer saved in his/her cart with the help of a Tab that is present in the brick and mortar store. Hence, the customer has no difficulty communicating to the salespersons what he/she needs. Once the customer is satisfied with the quality of the products, the final purchase is made using a mobile app (again, the customer doesn’t need to re-add the chosen items in the cart from the mobile app, when the customer logs in, the items are already there in the cart). As stated earlier, the customer should be able to begin their purchase journey from where they left providing a seamless experience. This is what we call as “Omnichannel Marketing”. 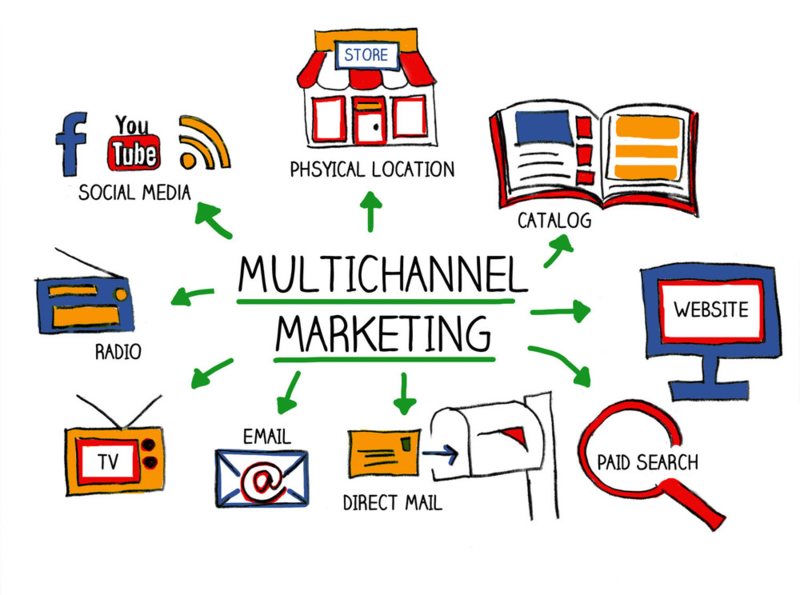 “Multi” means “many” and “Multichannel Marketing” refers to the practice of communicating with the customers using a number of channels like email, social media, banners, catalogs, SMS, online ads etc. Here, the marketing channels used by the brand may or may not be integrated. What The Brand Needs to Answer For Effective Multichannel Marketing? Do you have a list of channels that your brand currently covers? Are they able to fulfill the needs of the customers? Is your brand missing a channel which the customer likes to use the most? (Suppose a customer is active on social media but your brand is still not actively pursuing the customer on social media). Do you have agents who are constantly working on just one channel thereby leading to monotony and failing to achieve a superior customer service on each and every channel? Is your brand able to interact with prospective customers across a variety of channels? Once you have answered each of these questions, you already have the data for creating an effective multichannel experience to the customer. The real essence of Multichannel marketing is that the customer should be able to find your brand no matter whichever channel they use. Let’s take an example to make this concept clearer. Suppose a customer is searching for online shoes on Google and finds your website. The customer browses some items from your website. Now, the same customer visits Facebook and is able to find your brand and the browsed products with the help of remarketing. After a day the customer finds an email from your brand in the inbox asking to complete the purchase. Finally, the customer makes the purchase when an SMS is received from your brand offering the customer a 20% discount for a purchase made within 24 hours. As stated earlier, the customer should be able to find your brand no matter whichever channel they use. This is what we call as “Multichannel Marketing”. Both Omnichannel Marketing and Multichannel Marketing are important strategies for brand marketing. Omnichannel marketing offers an integrated and seamless customer experience across all the targeted channels whereas Multichannel Marketing is only focused on increasing the number of channels to target prospects. Mike Salvaggio has over 15 years of digital marketing experience specilizing in B2B marketing with a focus on client acquisition through lead generation, e-commerce solutions and search engine optimization. A graduate of the Wharton School of Business, Mike has founded several technology companies and is currently the co-founder and CEO of SEO Brand, an award winning digital marketing agency trusted by some of the biggest and most influential brands.